There are people out there that will tell you the only way to get great sound from your PC is by picking up the best headphones. However, not everyone wants to wear headphones for extended periods. For these people, the best computer speakers are going to be a dream come true. Still, like any PC hardware, finding the best computer speakers for your needs isn’t as straightforward as it perhaps should be. Fortunately, we here at TechRadar have your back – we’ve created this list of the best computer speakers, considering everything from price and aesthetic, to more technical details that will really let rock the house. 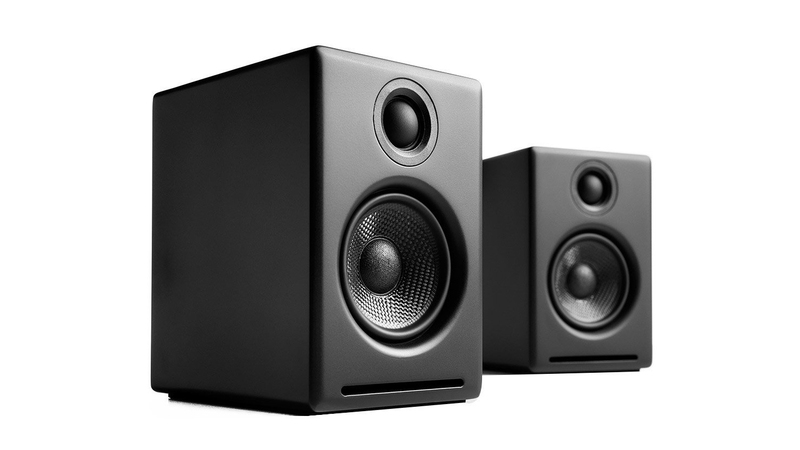 You need to think about several important details when buying the best computer speakers. How do they sound? Do they have good stereo or surround sound separation? Do you get a headache after listening to them for just a few minutes? Do they have a balanced sound profile? You need to keep these details in mind when you’re looking at computer speakers. You should also consider what you’re going to do with your speakers. Are you going to be playing the best PC games, prioritizing immersion? Are you going to be trying to catch up with the Marvel films in their full Dolby glory? Or are you just going to be jamming out to the new Cardi B album? Whatever you plan to do, you should go out and buy the best computer speakers on the market in 2018. You’re not in this alone, however. We here on the TechRadar editorial team have created this list of the best computer speakers that we have tested or reviewed over the last year or so. So, sit down, put on some music and enjoy. Even if Audioengine’s A2+ came out four years ago, they’re still one of the best sets of speakers on the market. 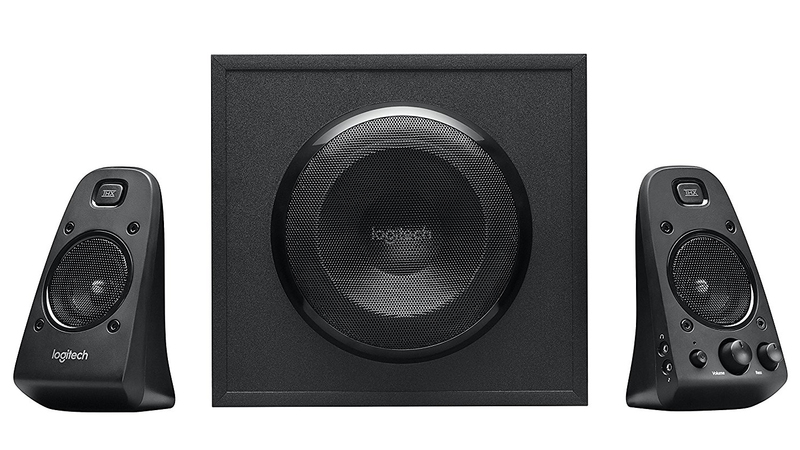 These aesthetically pleasing speakers are compatible with digital audio from your PCs USB port for uncompressed audio and unparalleled audio fidelity through its built in DAC. This winning combination means these speakers feature the highest sound quality in their class with amazing clarity and thumping bass. When you realize that these small six-inch speakers don’t come with a sub, you start to learn that they really have a lot of bang for the buck. 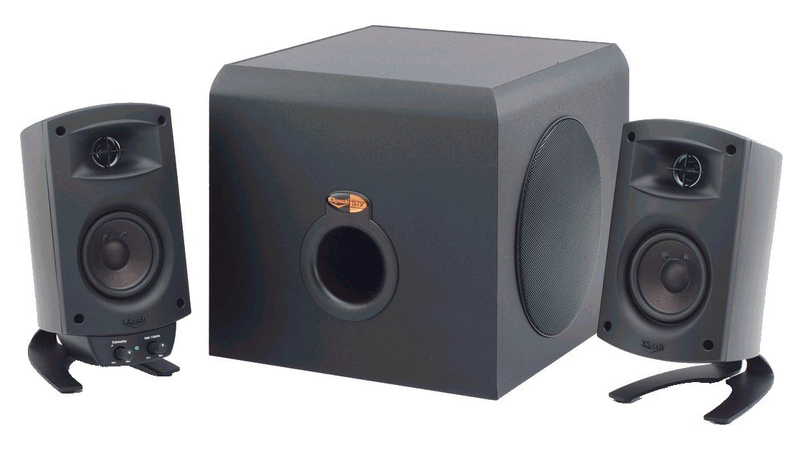 Be warned though, you might need to invest in a subwoofer for really low bass, or heavy bass sound at higher volumes. Luckily, they do come with an RCA output, so connecting one is a breeze. And, for just a few more dollars, you can pick up a pair of stands for even better audio. Logitech is well known for its gaming peripherals and computer speakers in 2018, but never before has it combined the two so spectacularly. The first Logitech computer speakers designed for gaming, the Logitech G560 are the best computer speakers for gamers, bar none. Not only do they feature luminous RGB lighting, but through Logitech’s software, the multi-colored illumination can adapt to any kind of content you consume – whether you’re playing a game, or listening to music through your phone. Vanatoo’s Transparent Zero boasts the powerful, beautifully refined sound of a big speaker packed in a mid-size package all thanks to its high-quality drivers. Though it comes in a boxy, plain aesthetic, this pair delivers great clarity with more presence in the lower mid tones as well as a lot of smooth high-end range so the sound is brighter but not harsh. 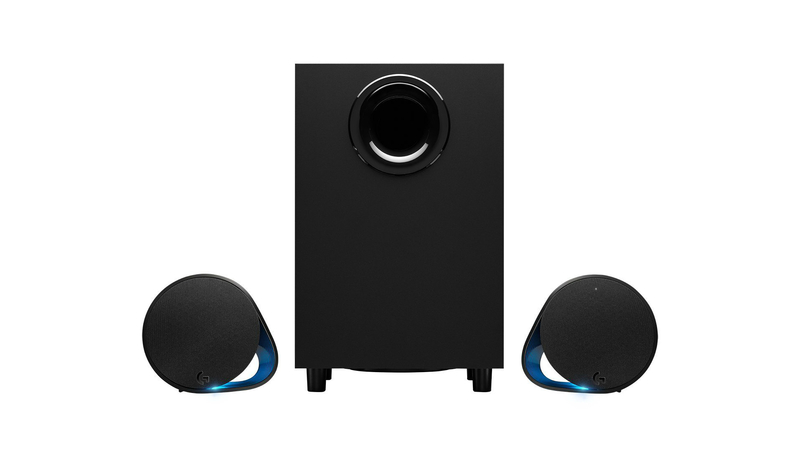 They also offer great sound imaging for an immersive experience and an extended base range. Last but not least, they’ve got a great selection of inputs – optical, USB, analog, and Bluetooth, making them extremely versatile. These are not cheap, but if you’ve got the funds, they’re certainly worth the investment. 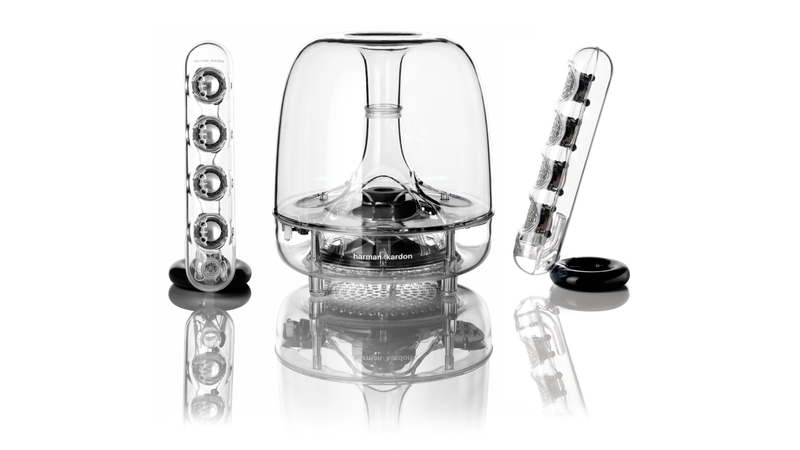 If you stare at it long enough, the Soundsticks III might start to look like some kind of glowing alien jellyfish. These translucent babies, designed by Harman, seem more like a set of modern art installation than a functional speaker system until you step back and let it do its thing. 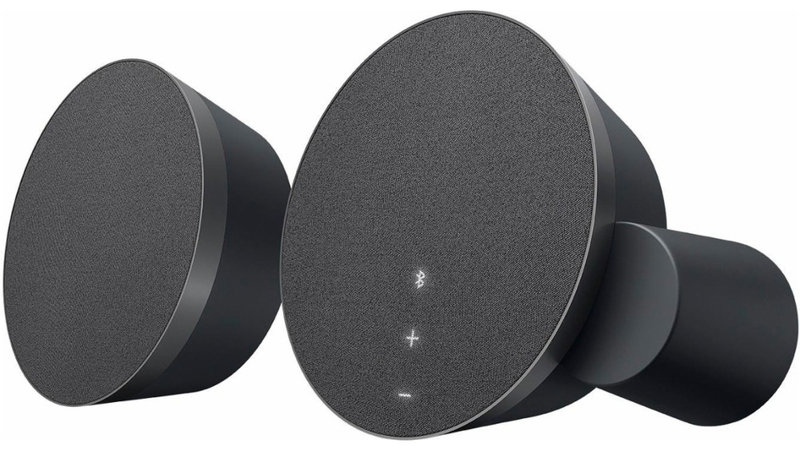 This speakers and bass combo boasts extra bass power thanks to its subwoofer while still producing crisp highs so you’re getting excellent sound at only $170, making it ideal for music fans with a mid-range budget. Keep in mind its few minor cons however—it doesn’t have a headphone jack, its bass volume control is not accessible, and the LED lights cannot be turned off. 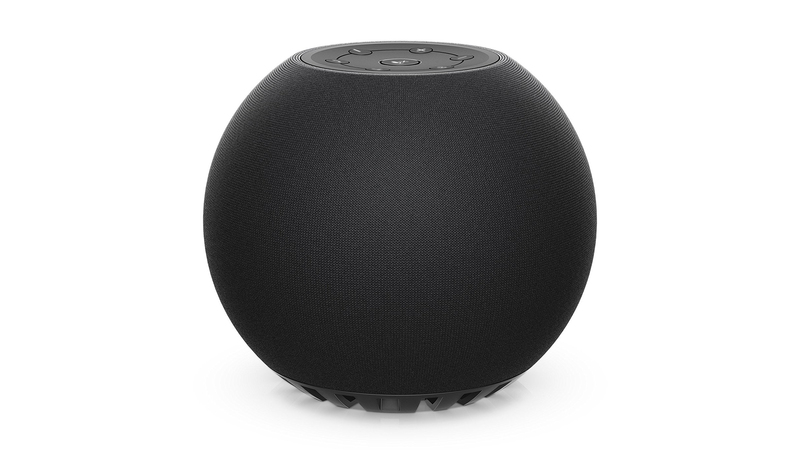 Sure, it can be a bit bass-heavy, but the Edifier E25 Luna Eclipse is a beautiful Bluetooth speaker setup that produces a surprisingly excellent sound for something that looks like it’s a Sci-Fi prop. The Luna, which comes in red, white and black, offers a powerful but controlled bass, fantastic balance with pronounced mids, and good stereo separation. Using DRP and DSP tech, the pair delivers excellent quality with minimal distortion even when you’re cranking the volume up. Its other perks include touch sensitive controls and a fancy little remote. Purchase its stands for an even better sound quality and the Jetsons look, if you’re into that. 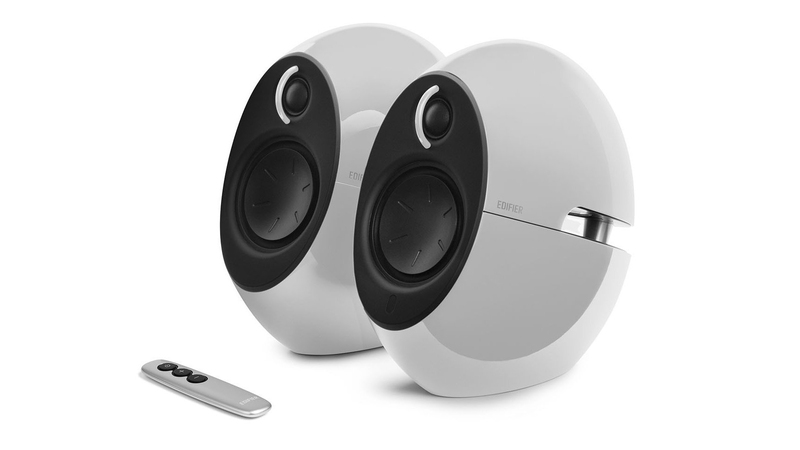 These Logitech speakers are a thing of beauty with their elegantly eccentric circular design and silver accents. 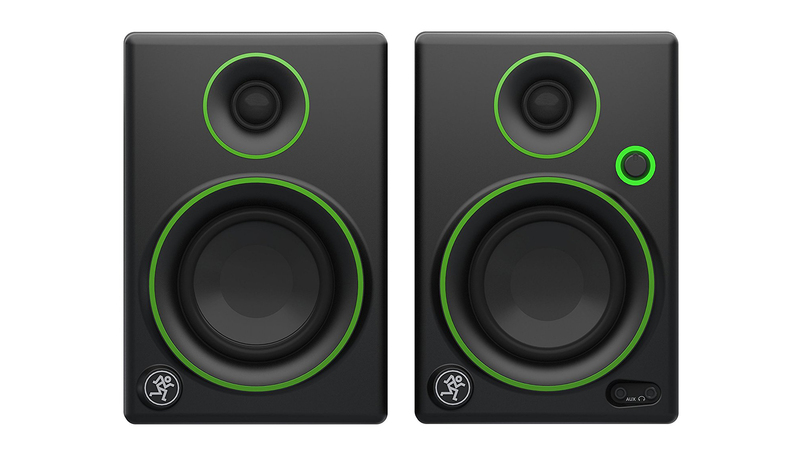 And at $99 a pop, they certainly deliver a little more than what you’d look for in speakers. Before we talk about MX Sound’s pros however, let’s discuss its important con – while the brand is proudly advertising an extended bass range, thanks to its unique, rear-facing port tubes, the bass can sometimes overpower the mids and highs, making the audio a bit muddy. That said, it does deliver an excellent soundstage and powerful audio, which makes it great for gaming. It’s got a few cutting edge aces up its sleeves as well: the dual Bluetooth connectivity so you can connect two devices simultaneously, and the backlit motion sensor controls so a light touch is all it takes to connect a device and adjust the volume. The Klipsch ProMedia 2.1 speaker system promises enchanced sound for versatile use so that whether you’re watching movies, gaming, or listening to music, you’re in for a great experience. And it does. 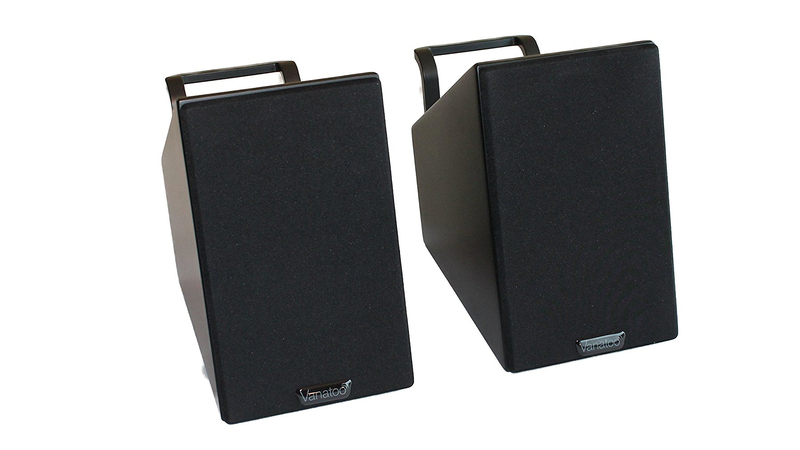 These THX-certified speakers boast power, a wide frequency range (31 Hz to 20kHz), and a detailed audio quality with punchy bass, maximum clarity, and great balance. It’s powerful enough to replicate that home theater quality. That’s a lot punch for $160, even if it means having to tolerate the fact that the sub stops at 31 Hz so there’s no low end rumble. This product is only available in the US as of this writing. UK and Australian readers: check out a fine alternative in the Jabra SPEAK 510.